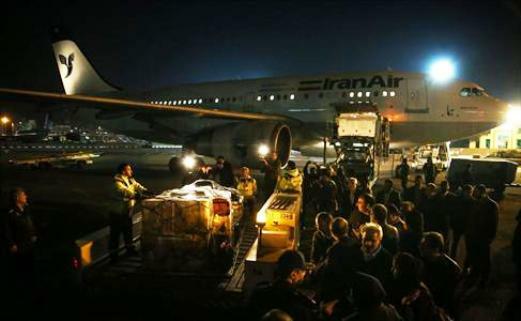 Following a Belgian court ruling, 349 Iranian artifacts dating back millennia have been sent back to Iran. A collection of over 300 Iranian artifacts in Belgium for 50 years has finally been returned to Iran. The 349 Iranian heritage items which had been illegally transferred to Belgium some 50 years ago were finally handed back to Iran by following a Belgian court ruling 33 years in the making. The stolen artifacts comprising of 221 clay and 128 bronze antiques date back to the end of the second millennium and the first millennium BC and are some 3,000 years old. They will be put on display at the National Museum of Iran soon. The antiques which had been discovered in Khurvin, Alborz Province, were gradually transferred to Belgium in 1965 by a French woman who had acquired an Iranian nationality due to her marriage to an Iranian professor. After the Iranian government was informed of the existence of the collection in a Museum in Ghent, Belgium, it filed a lawsuit in Belgian courts in 1981, saying that the artifacts which had been illegally transferred out of the country, belonged to the government of Iran. After more than 30 years, a Belgian court finally ruled in favor of Iran in September 2014 and the antique collection was returned to Iran on Thursday Dec. 24. The head of Iran’s Cultural Heritage, Handicrafts and Tourism Organization (ICHTO) Masoud Soltanifar, while confirming the transfer of the antiques to the National Museum of Iran, maintained that Iran is adamantly following up on a similar case related to some 7,000 Achaemenid tablets which are presently being kept in the Oriental Institute of the University of Chicago. According to the former head of ICHTO Mohammad Ali Najafi, the clay tablets had been loaned to Chicago’s Oriental Institute for Studies and Translation during the rule of the Shah, but they have not been returned to Iran yet. Other than the case on Achaemenid tablets, Iran is following up on another case involving artifacts discovered in Choghamish in Dezful County, Khuzestan Province, which according to Soltanifar is in its final stages.